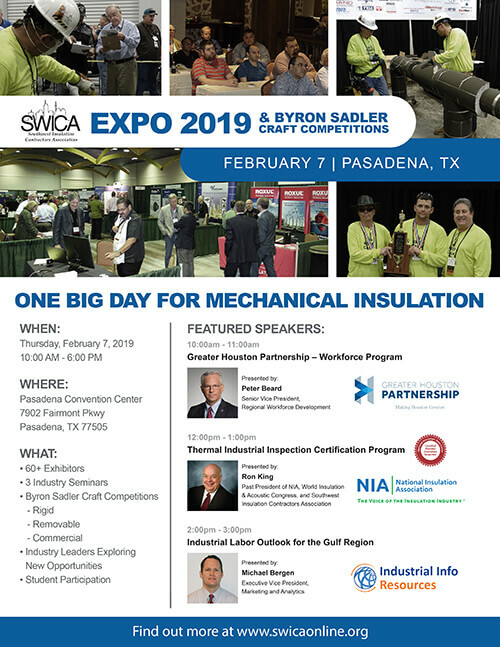 You are invited to join industry leaders in this one day educational and information packed exhibits, seminars and craft competitions.The Southwest Insulation Contractors Association EXPO 2019 will offer 63 exhibits. (All Exhibits are 10’W X 10’L with carpet & electric). Want to sponsor this year’s event? DOWNLOAD the form or SIGN UP ONLINE! 216. Access Plug Flange, Inc.